With so many factors in a shifting landscape, sometimes it’s difficult to get a broad overview of your business. If you have a firm grip on total quality management, your leadership teams are focused on case studies and apply successful techniques to your current operations. Depending on the size of your firm, it may not be possible for leaders to get on the same page. Larger organizations may consider hiring an outside expert to help them strategize. In smaller organizations, however, internal leadership collaboration can make a big difference. 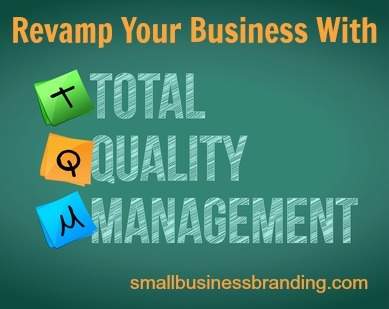 Here are five benefits of total quality management that can improve your business. Leadership teams can grow significantly stronger if they work on quality management together. This gives different departments the opportunity to pool resources, collaborate on changes, and compare notes. No total quality management plans are one-size-fits-all. These strategies must be designed with the company’s best interests in mind. Having representation from various teams can strengthen your plan, and ensure that no one is left out. Working together to redefine processes and streamline workflows can build closer relationships between departments. When your company takes action to develop and implement a better total quality management plan, your workforce will take notice. They can bring attention to faulty or time-consuming processes that need to be dropped or revised. Areas of frustration can be discussed, so leaders can find effective solutions. This can help restore workers’ faith in a company and align everyone with the organizations’ mission. Higher team morale can have a positive impact on productivity and customer relationships. Make sure that communication channels are open to everyone in your organization, regardless of their roles. If your company is very large, it may be difficult to unite leaders from various departments behind a cohesive plan. This is when your business should look to an outside expert to study processes, product design, training, and employee participation. A third-party expert can provide an objective assessment of your company’s operations and then create a total quality management strategy that fits your needs. Since a third-party consultant is not involved in your daily functions, he or she will have enough distance to identify success and opportunities for improvement. As leaders and outside experts collaborate on a strategy, they must look at their current processes and consider how to improve them. This includes a thorough analysis of all processes, from general to minute. Specialty software can help leaders track employee performance, pipeline activity, revenue streams, inventory, and shipping freight costs. Metrics should provide leaders with a clear snapshot of how each department is performing at any given time. Keeping an eye on these numbers can help your company adjust processes, by comparing the changes to updated metrics. Tracking metrics can also help managers identify workflow failures, so they can shift gears immediately and discard unproductive processes. Once your company has created a total quality management strategy, it’s time to act on it. In order for your organization to be successful, you must get all employees on board with the pending strategy. Smaller processes should integrate with the whole, and they shouldn’t cause conflict or more work. Collaborate with company trainers to make sure that all employees understand how the new strategies will be implemented, and what workflow changes will be embraced. Leaders should track incoming data during this transitional period, to see if the new processes are driving better results. A streamlined total quality management plan can greatly increase your company’s ROI and foster better customer relationships. Thanks for sharing these points! Indeed some great points shared which will be helpful for business. The strategies stated in this piece of writing regarding to increase traffic at you own web site are actually pleasant, thanks for such nice post.